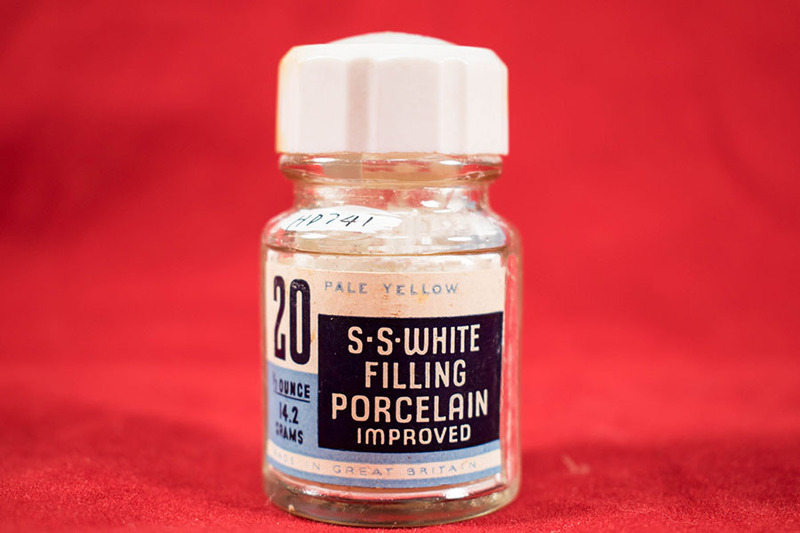 Glass bottle of pale yellow filling porcelain powder (1/2 oz). 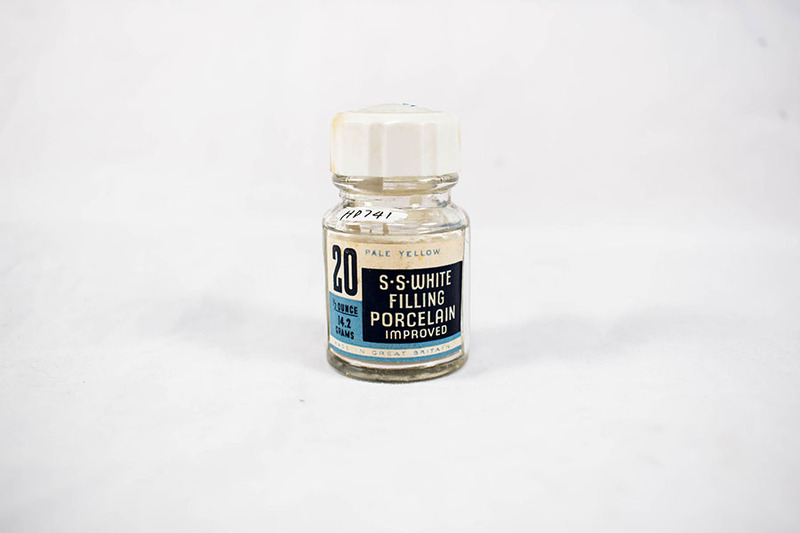 This jar of white filling porcelain was manufactured by the SS White Dental Manufacturing Company, an organisation that was started by American dentists and inventor, Samuel Stockton White, in 1844. Over the years, White's company became the largest dental instrument manufacturer in the world. 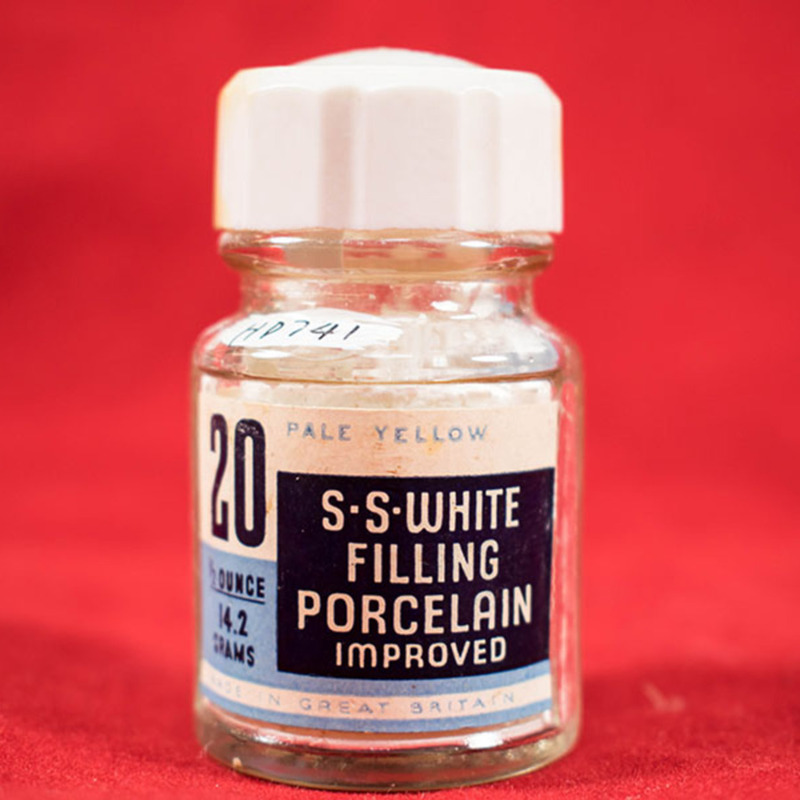 S. S. White Dental Manufacturing Co. Ltd.; 1872-; Dental manufacturers, “Jar of SS White Filling Porcelain,” Heritage, accessed April 25, 2019, https://heritage.rcpsg.ac.uk/items/show/125. Description: Glass bottle of pale yellow filling porcelain powder (1/2 oz). 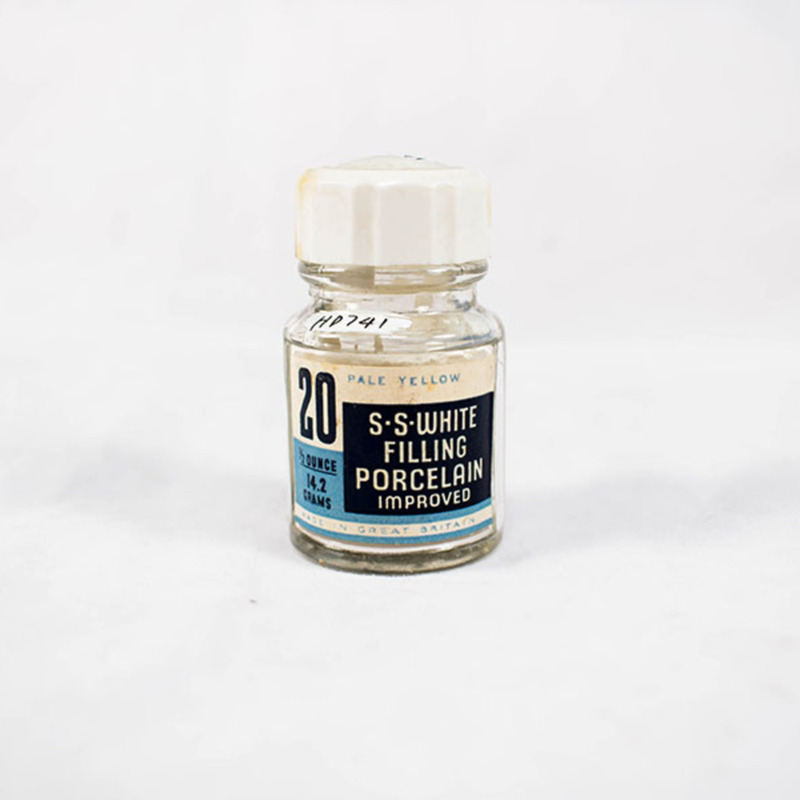 This jar of white filling porcelain was manufactured by the SS White Dental Manufacturing Company, an organisation that was started by American dentists and inventor, Samuel Stockton White, in 1844. Over the years, White's company became the largest dental instrument manufacturer in the world.